This print is gleaned from a multi media collage. 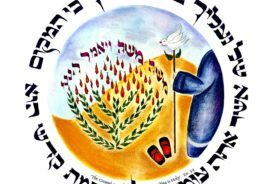 It illuminates the famous lines from Genesis 12: 1-2. It shows the mysterious road that we all must travel away from our comfort zone to the place that G-d will show us. 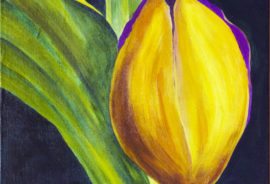 It is double matted and and measures 12 x 14″” in the mat. 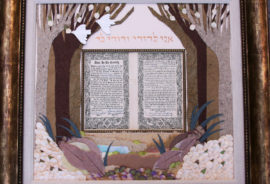 It is printed with archival ink on thick velvet art paper. Frame is 2″ gold painted wooden frame (other framing options available). FREE SHIPPING!! 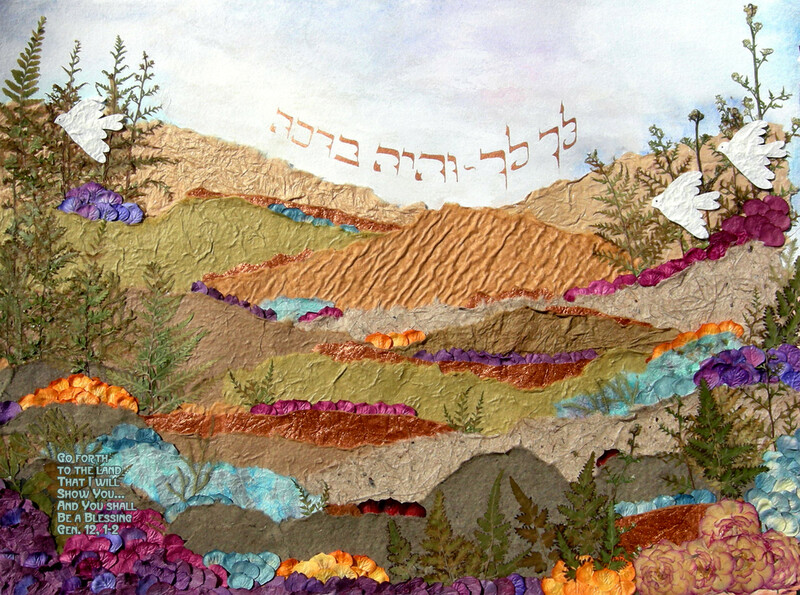 Ohhh… this is my favorite line from Torah and I love the texture in the landscape – the whole piece is fabulous!